anyway hoping and praying if anyone ever comes across my equipment would do the right thing. 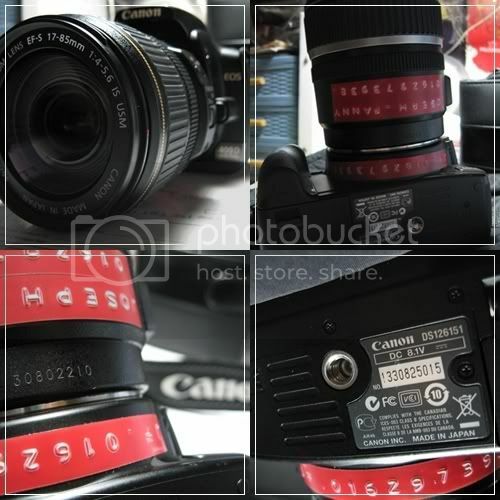 Canon Items that are stolen. Dang Wangi/010928/09, police station Jalan Bandar (H.S. Lee) after the incident. i'm thinking those shop that sell 2nd hand dslr & lens, will they verify 1st if the goods is stolen or not before accepting them for sale?? Last edited by josepheng88; 03-29-2009 at 11:22 AM.. If anyone should ever find anyone who's trying to sell the above item/s please please...do inform me, Chris. Last edited by christ0205; 04-18-2009 at 02:19 AM.. Someone broke into my office room and stole all the items above and office's Sony DCR Video Camera. For all of Kuantan photographer and shop, if anyone want to sell this 3 items, please inform me. The guy probably not a photographer as it leaved the flash, back up battery and CPL in the bag. I will update the serial no. but where can I find it as I forgot to write down. But my name is in the camera. age of item: 3-4 months. Date of lost, 15th June 2009 at approx 12 p.m. Friend's house got broken into when I was staying over. please email me at wjie20@gmail.com thanks. Message from Louis Pang : D3 (2020336), D700 (2024078), Nikon 17-35 (262552) were stolen from me. Friend's equipment was stolen. Pls take a look. thanks. [LOST] Canon Lens Hood EW-75 II for 20-35 f/2.8L. Lost it during a shoot for the launch of the 1Malaysia F1 team press conference in Putrajaya. Hard to replace this hood as the lens is somewhat an antique.